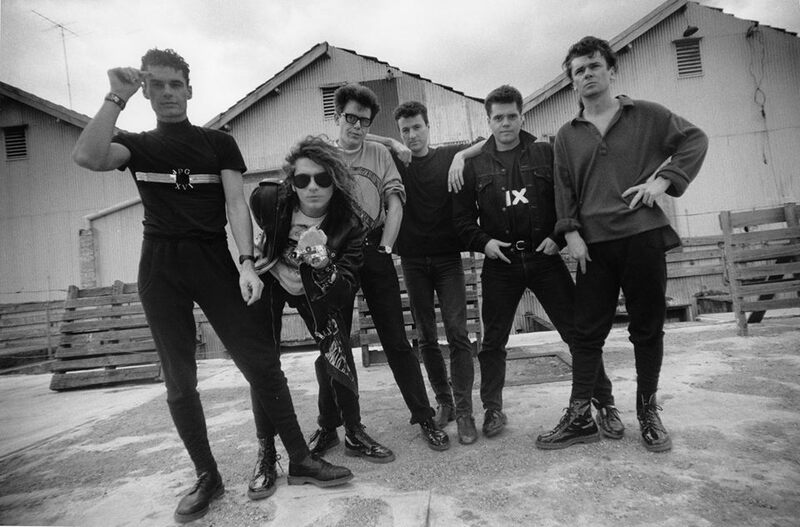 INXS have announced plans to team up with producer Giles Martin for a series of legacy and album reissue projects in the coming years. As the band’s Executive Music Director, Martin – the son of late Beatles producer Sir George Martin – will have a creative overview on all audio aspects of upcoming INXS developments, including the eagerly-awaited documentary, “The Untold Story Of INXS”, the reimagining of the band’s catalogue through a unique live theatre show, and their forthcoming series of repackaged, remixed and expanded studio album reissues. Martin has previously worked on a number of INXS projects through the years, including 2017’s 30th anniversary reissue of the group’s 1987 smash, “Kick”, which was their most successful studio release with more than 8 million copies sold worldwide. “Having worked across several phenomenal INXS releases over the years, I am thrilled to be extending our musical relationship,” says Martin. “INXS are one of the most important rock bands in history, I am honored to be collaborating with them again and look forward to contributing to the spectacular experiences the band are creating for their fans." Formed in 1977 and originally led by dynamic frontman Michael Hutchence, INXS sold more than 50 million albums worldwide before his passing in 1997; the band went on to work with a few vocalists before performing their final concert on November 11, 2012 at the Perth Arena.